My dryer will run if I am constantly pushing the button. Once I let my finger off the button the dryer stops. We did have a problem in the near past concerning the door latch. The door latch has a small plastic piece on it that broke off. I called an appliance repair company and they replaced the complete door latch. The door seems to be closing properly but do you think this has something to do with the dryer only running when I press and hold the start button? My dryer is a Whirlpool that is about 2 years old and a smaller style for small areas. Basically, you set the time, heat, then press the button. Also, the lint screen, lint vent hose, and the wall are clean of lint. Please give suggestions to fix my problem. The thermal fuse is the first most likely reason. When a dryer gets too hot, the thermal fuse pops. This is because of heavy lint build up and this makes it so the heat cannot escape the dryer. The thermal fuse is there for a safety measure so a fire does not start. The thermal fuse is at the back of your dryer. It is about 10 bucks to replace. Check it with a meter to see if it is popped. The second condition that may be causing your problem is the door latch or door sensor. If the door latch is faulty, the dryer may think the door is NOT closed therefore it won’t turn on. Some dryers will run with a bad door latch or sensor only when you press and HOLD the start button. Check the door latch/sensor visually. Do you see anything broken, loose, or missing? If not, unplug the dryer and remove the door latch assembly. Test it with a meter to see if it is in working order. Check wires that go to the door latch too. The third condition that may cause a dryer to run only when the start button is constantly pushed in is the start button itself. Some start buttons are built and function different in certain dryers. The start button on your dryer may be faulty and that is why you have to constantly keep it pressed in for it to run. Check the dryer start button, some may have small springs on them and if this spring falls off you will have to keep the button pressed for it to run. If the thermal fuse is not popped, the door latch is working, and the button is working properly, the next 4th thing to look for is a bad wiring harness. A wiring harness could be loose or damaged. Start following the wires behind the control panel and outward to all components from there. If needed, find your dryers wiring diagram online to see where all the wires go and what may be causing your issue. 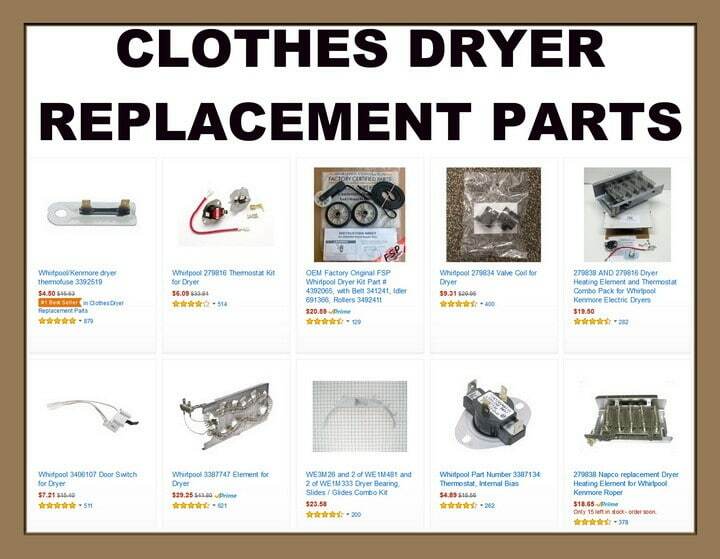 Do you have another possible reason a dryer will ONLY run by keeping the start button pressed in? Please leave a comment below to assist our other readers.